En suite Bathrooms are now becoming more and more popular in homes across the uk and you’ll probably agree that the fewer paces between your bedroom and private bathroom space the better. Whether you prefer an invigorating shower in a fully-tiled wet room or to simply lie back and soak in an inspiring bathroom. 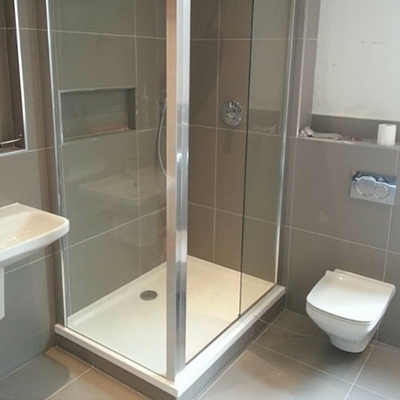 We can design and plan your very En Suite Bathroom today whatever available space you have, it’s vital to make the most of the unused space by carefully planning out your bathroom layout. Ease of access is essential as you transition from bedroom to bathroom; you may prefer an open plan design using a wall or screen rather than a door. ​Our expert Ensuite Bathroom can help you decide the position, size and shape of your shower/bath, basin, WC and any storage. When creating a new ensuite or remodelling an older bathroom, you’ll need to find a style you love.